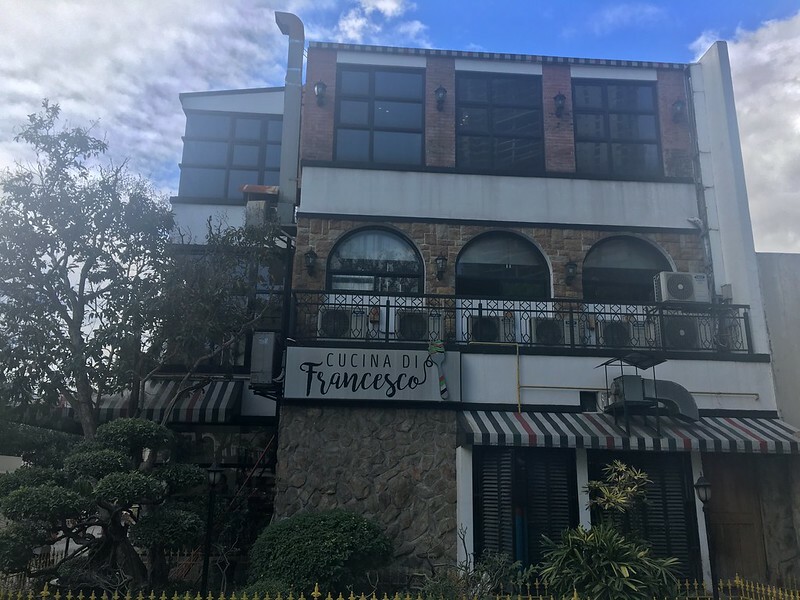 When you think about food places in the Libis area, chances are this Italian restaurant hidden away from the busier sections of the metro has escaped your notice. 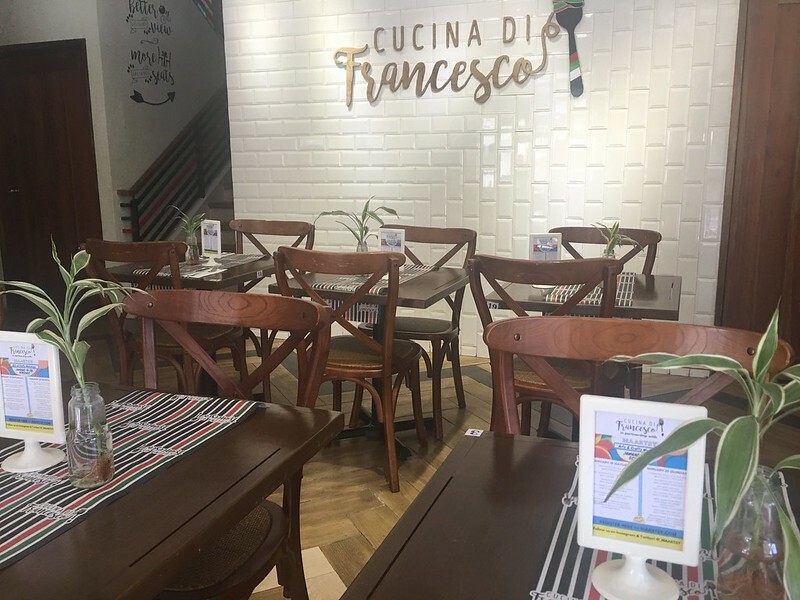 Cucina di Francesco got its name from the name Francesco Forgione, the name that Saint Pio of Petrelcina, more affectionately known to devotees as Padre Pio, was born with. 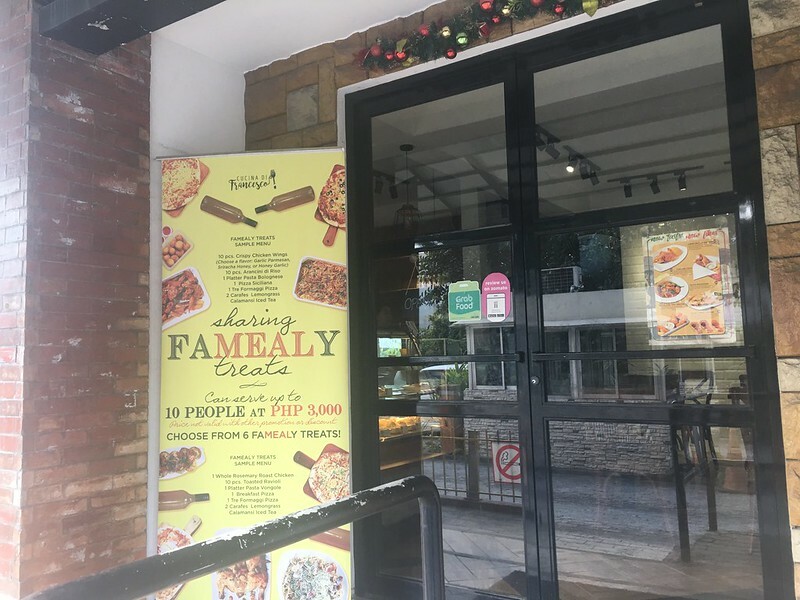 Incidentally, the restaurant is located in the same compound as St. Pio Chapel, so I would imagine families fresh from Sunday mass coming in for lunch. In this instance, however, I took my fam here on the way to our weekend staycation. 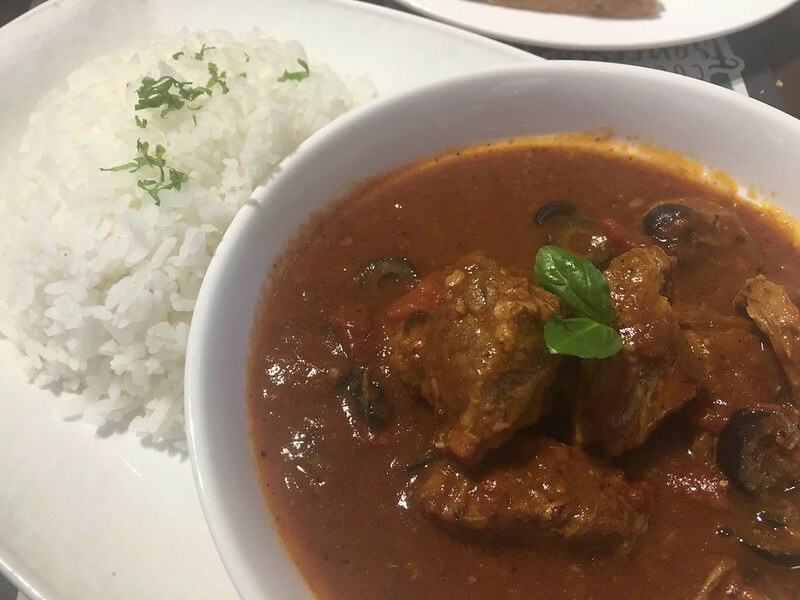 From outside, the restaurant presents a comfortable, homey and welcoming facade. 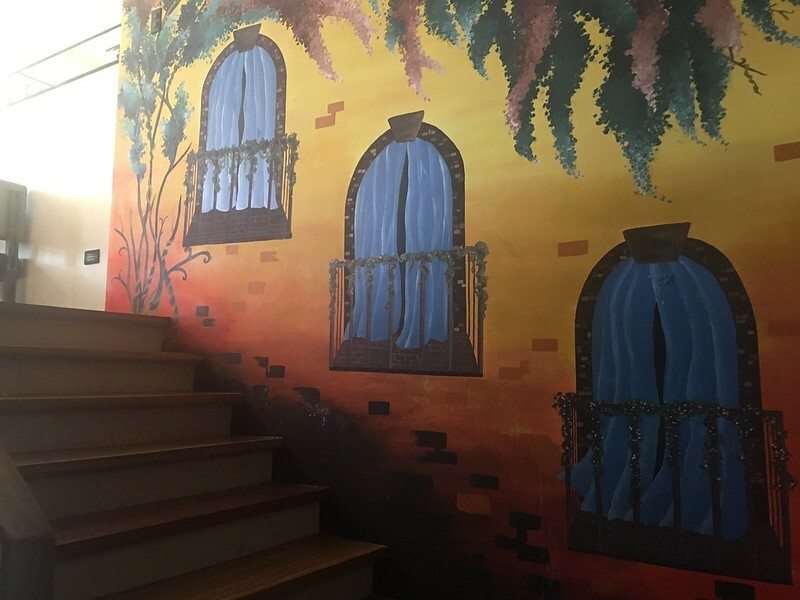 Inside, the place is bright and cheery, with large windows letting in lots of natural light and large hand-painted murals giving the premises an eclectic vibe. 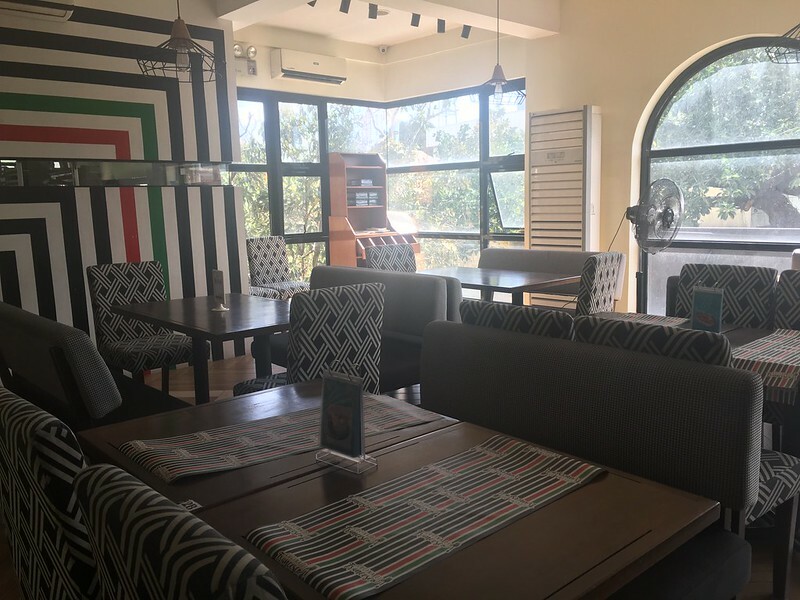 There are more seats to dine in on the second floor, while the third floor is mainly used for events. 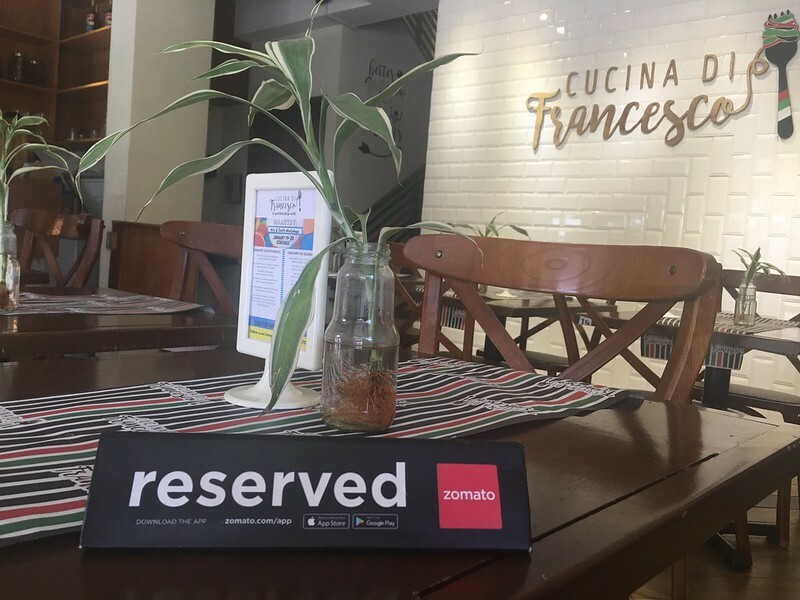 I booked our table the night before via Zomato. We were a few minutes late but I called the resto to apprise them of our arrival time so our table was waiting for us when we arrived. 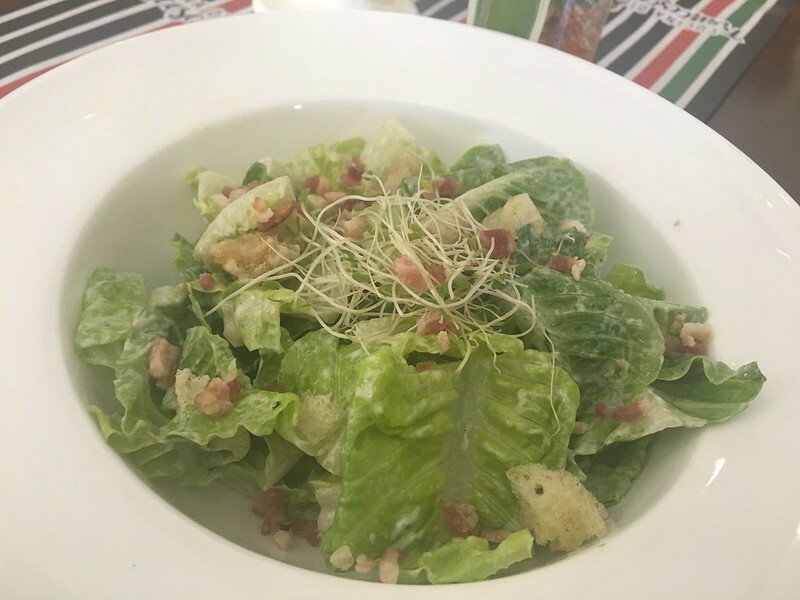 My daughter #ExhibitA, who’s trying to eat healthy, requested for a salad so we ordered a Ceasar Salad (Php180). The focaccia croutons, fresh microgreens and rough-chopped walnuts delectably add to the taste and texture of this classic dish. Our little boy #ExhibitB, on the other hand, is a well-known pizza monster. 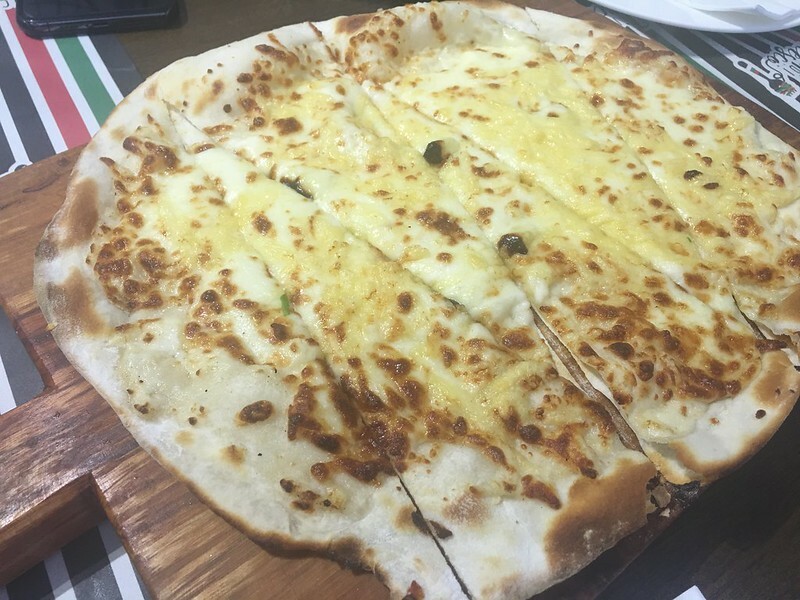 We got him a Tre Formaggi (Php350) whose lethal combination of bleu cheese, emmenthal and mozzarella on top of creamy bechamel got my baby reaching for slice after slice. 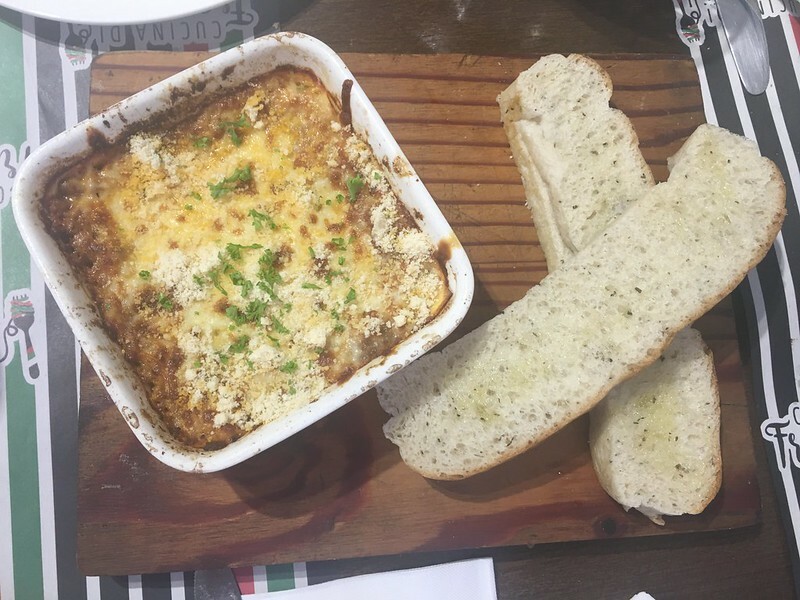 We split orders of Lasagna al Forno (Php260), a meaty baked lasagna with bechamel cheese sauce (which I found a bit dry) and Italian Beef Stew (Php485), a dish made of beef chunks, Italian sausage and vegetables braised in tomato wine sauce and served with parsley rice. 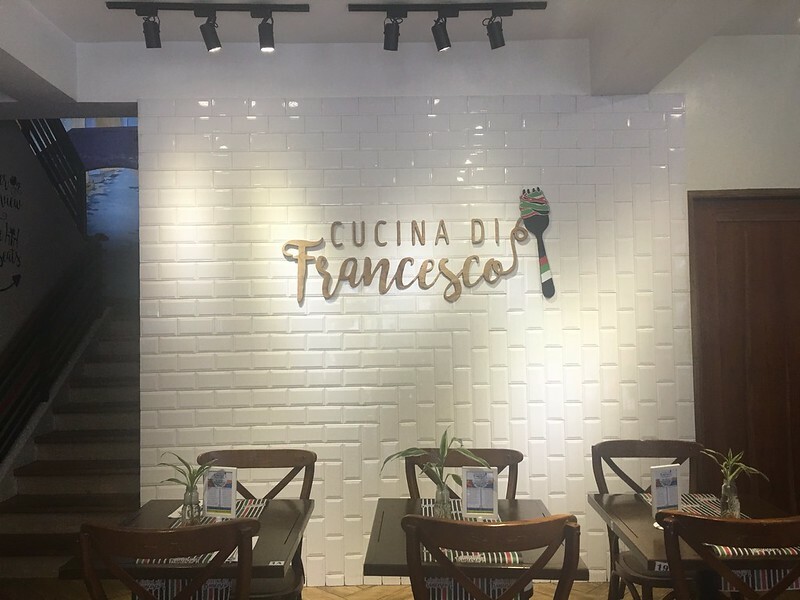 All in all, I wouldn’t mind another visit to Cucina di Francisco and checking out more of its Italian viands. 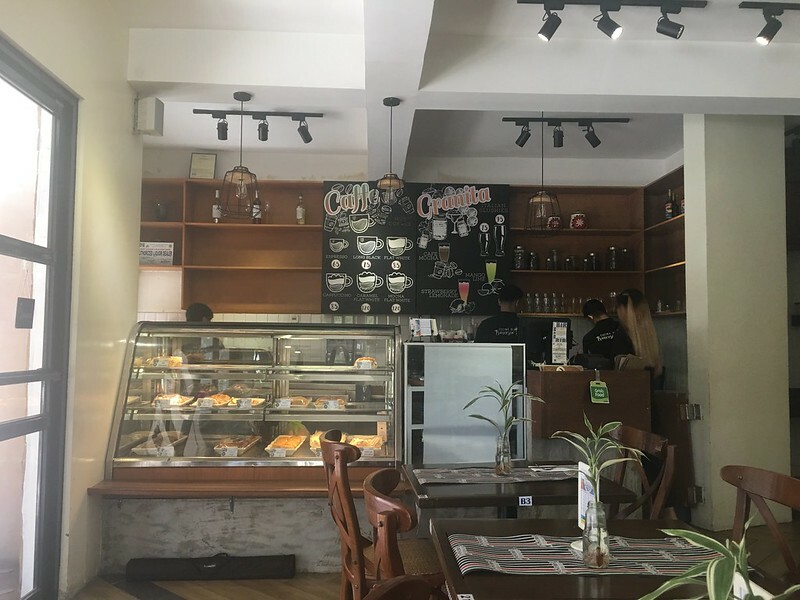 The place certainly is charming and even has free WiFi! Plus, the wait staff are also friendly and accommodating. It’s quite near my home and is easily accessible. 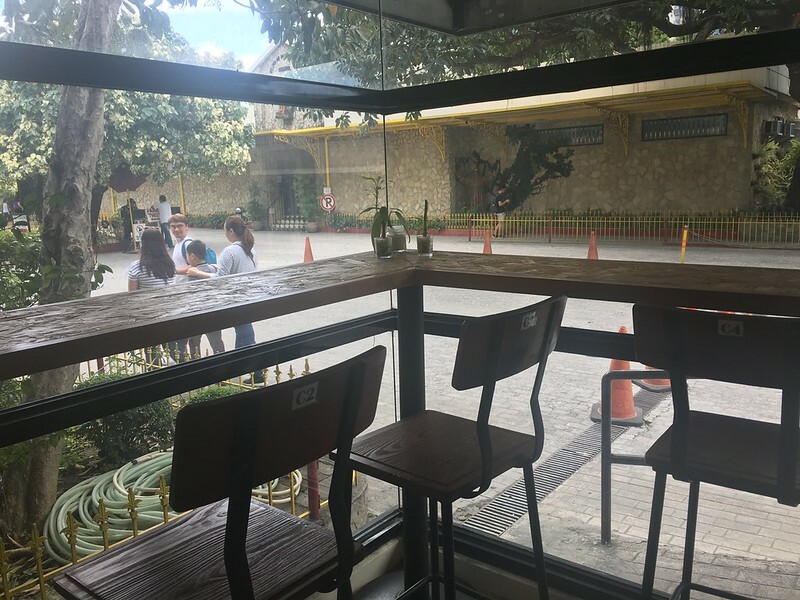 Since it is a free-standing resto that shares a sizeable multi-level parking lot with the church, I wouldn’t have to stress myself in looking for a parking space as opposed to the likely scenario if I were to visit a mall-based eatery during mealtimes. 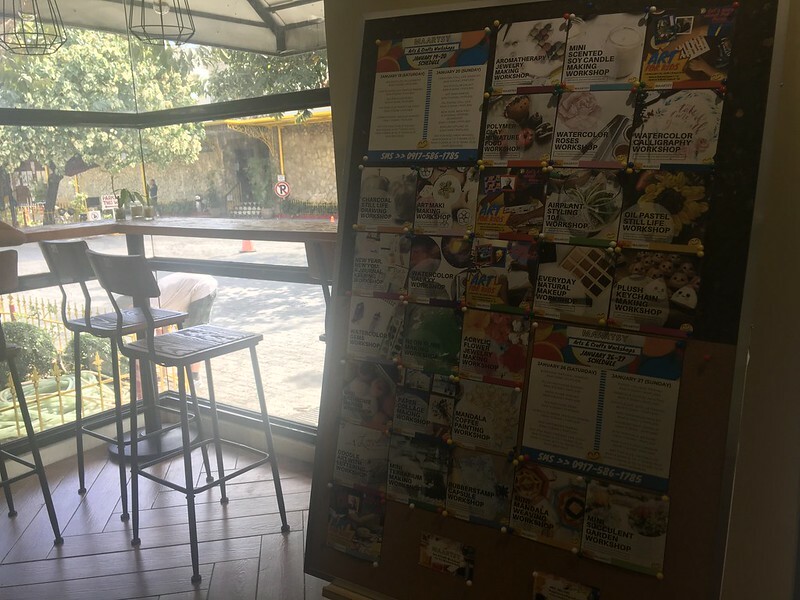 It also employs persons with disability, such as those in the autism spectrum. This is an advocacy near and dear to my heart, being a parent to a child with special needs myself. 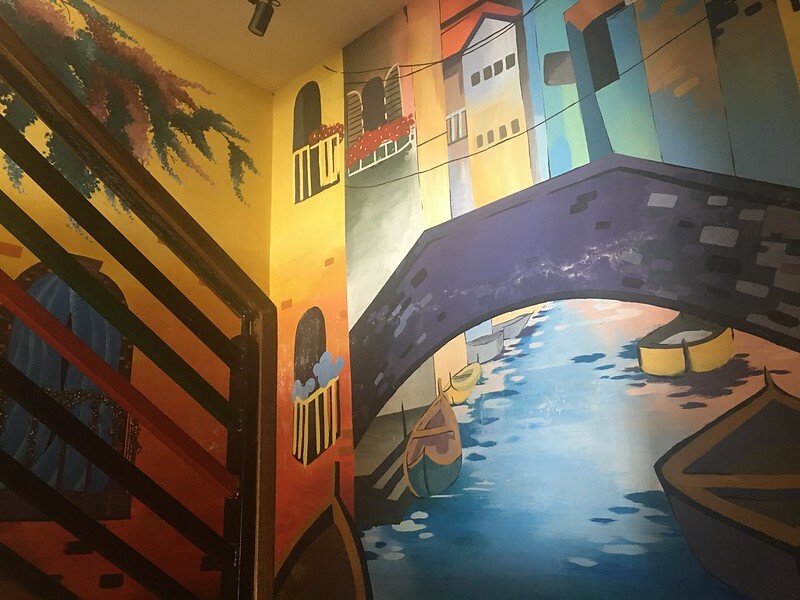 For those who are artistically inclined, Cucina di Francesco also serves as a venue for art and crafts workshops on weekends in partnership with Maartsy such as Plush Keychain Making and Acrylic Flower Jewelry Making in January 26 and Mandala Coffee Painting and Doodle Art with Lettering on January 27. For inquiries, call +63 2 9175861785. 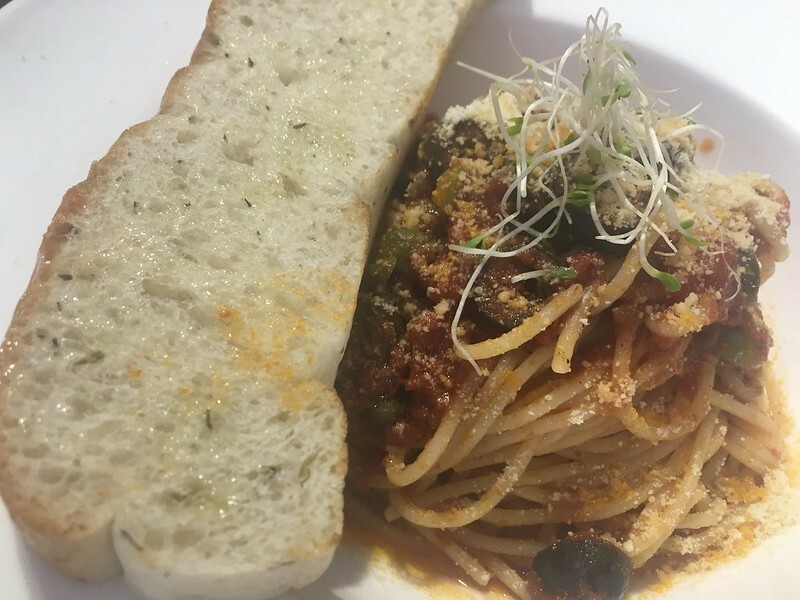 Here’s some trivia for you: Did you know that puttanesca translates to “in the style of a whore” in Italian? While some food pundits would attribute the name to seedier origins, some food historians date the sauce back to the 1950s when Sandro Penti of Rancio Fellona were requested by hungry late-night patrons to “Facci una puttanata qualisiasi” or “Throw together whatever.” Which was what the good Penti did with what he had at the time: tomatoes, olives and capers. The rest is history. More on that here.